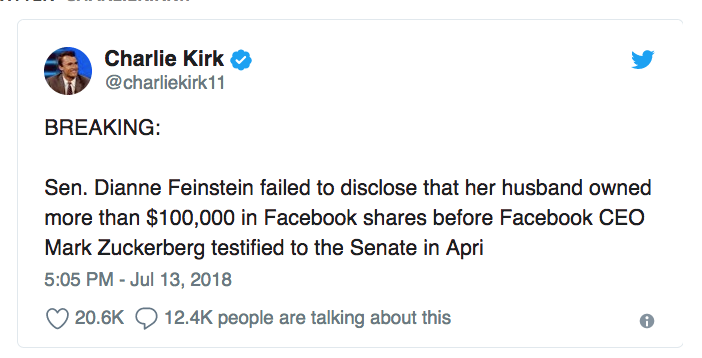 A new report claims Senator Dianne Feinstein failed to disclose that her husband owned more than $100,000 in facebook shares before Mark Zuckerberg testified to the Senate in April. 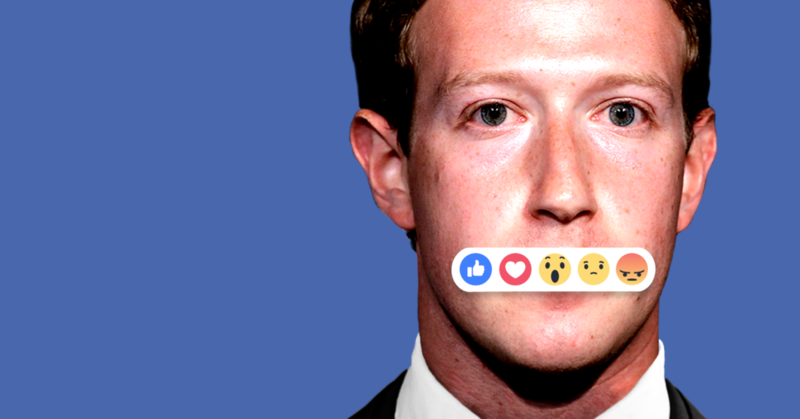 On April 10, Facebook CEO Mark Zuckerberg testified at a joint hearing of the Senate’s Commerce and Judiciary Committees, in the wake of the Cambridge Analytica scandal that saw as many as 87 million Facebook users’ personal information compromised. As the ranking member of the Judiciary Committee, Senator Dianne Feinstein (D-Calif.) was one of four senators to make opening remarks and one of the first to question Zuckerberg. 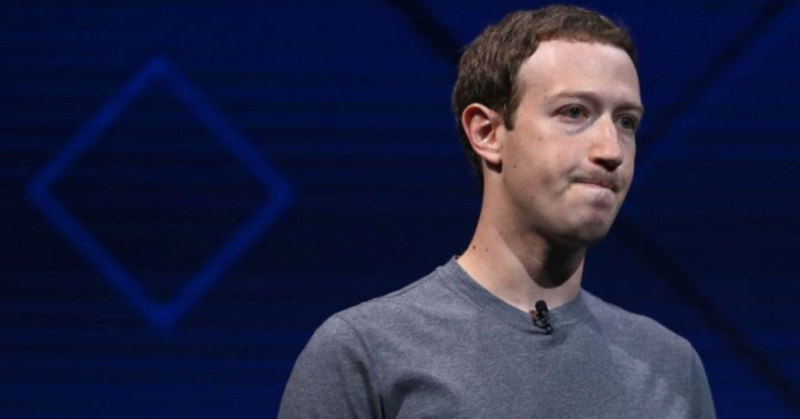 At the time of the hearing, the senator’s husband, the investment banker Richard Blum, had recently purchased between $100,000 and $250,000 of Facebook stock. The transaction was undisclosed at the time, because it did not appear on any financial disclosures until a May 22 periodic transaction report. Three members of Congress sitting on committees that Zuckerberg testified before disclosed owning Facebook stock at the time of the hearing, according to D.C. publication Roll Call. Had Feinstein disclosed her husband’s purchase prior to the joint Senate hearing, she too would have been named in that list. What are your thoughts? Another crooked career politician? Please share and comment. 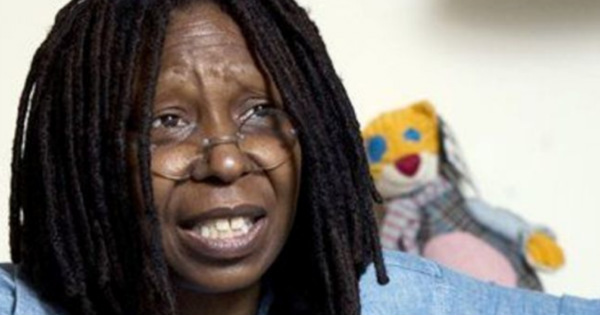 “America Can’t Be Mexico’s Welfare System… Many Illegals are Criminals.” You Won’t Believe WHO Said That!